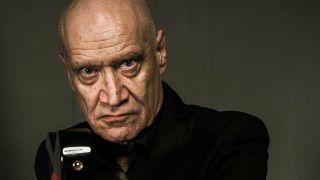 Wilko Johnson has released a video for Marijuana. It's taken from Blow Your Mind, Johnson's first album of new material in 30 years. The album is released on June 15. "It’s tricky when you get to seventy years old, because what am I supposed to be singing? 'I love you, baby, but you done me wrong?” Come on!," says Wilko. "That’s kind of a problem. But I never thought that I’d be the sort of person to write songs about different sorts of real-life experiences until I got sick”. Joining Wilko on the album are legendary Blockheads bassist Norman Watt Roy and drummer Dylan Howe. The album was produced by Dave Eringa, who worked with the band on the gold-selling album Going Back Home with Roger Daltrey. The album deals with the trials and tribulations Johnson has faced over the last five years, with songs such as Marijuana and Take It Easy dealing very directly with the terminal diagnosis he was given in early 2013. Blow Your Mind is released on June 15.